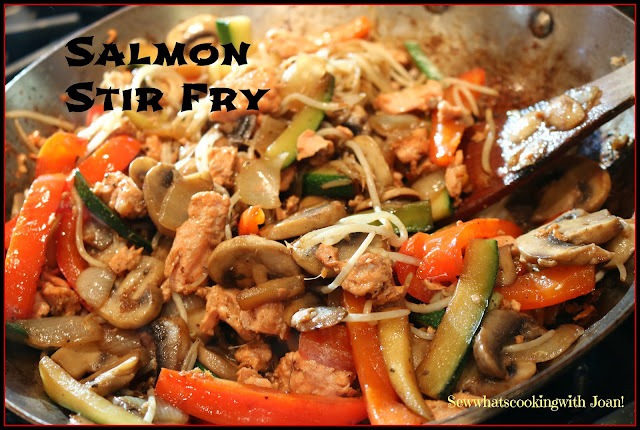 You can make this even EASIER by using salmon that’s already skinned and cut and buying the pre cut vegetables. 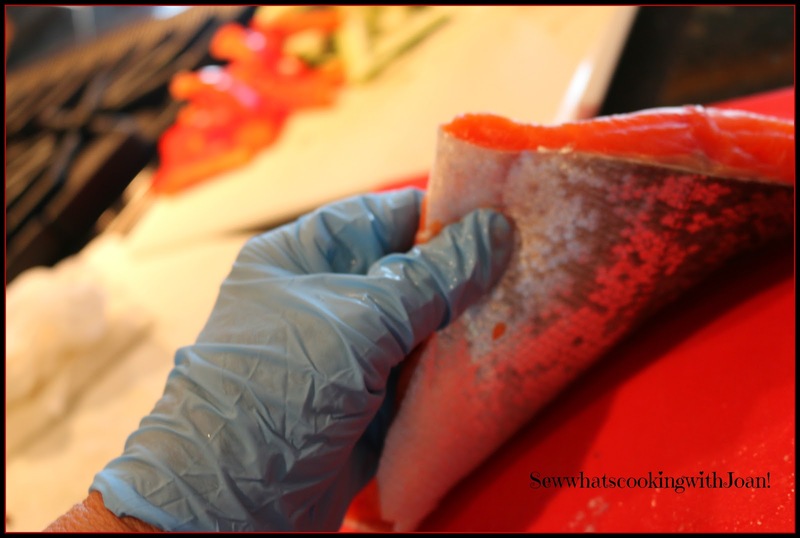 Simply ask the butcher when you purchase your salmon, to skin and cut into a 1 inch chunks. Or, you may like the skin left on for a little crunch! These vegetables are just a suggestion, you can use anything you have in your refrigerator! In a wok or deep 12 inch skillet add the olive oil and heat to sizzling (med-high heat). Add the mushrooms and onions stirring occasionally until onions are soft and mushrooms are starting to brown. Remove to bowl. Add a little more olive oil, heat and add the peppers, bean sprouts and bean sprouts, cook for a few minutes (2-3 minutes) remove to mushroom/onion bowl. 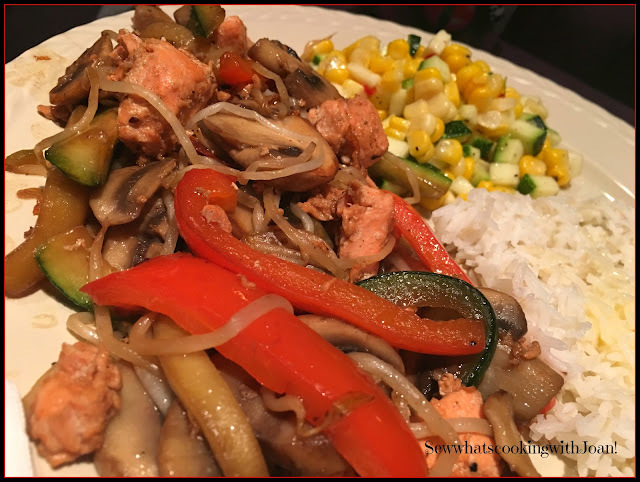 Add a little more olive oil, heat to sizzling and add the salmon....this will take just a minute or two to cook, add the vegetables, heat through and serve. We recently had our annual Seafair party at our home, celebrating our beautiful Seattle. 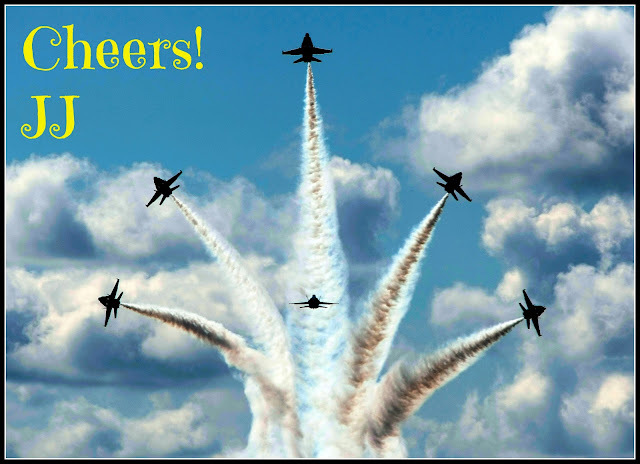 The Blue Angels fly directly in front of our home, which makes it one heck of a party when these amazing pilots come to town. Wee Bear and I basically hang out for four days on our veranda watching the show, it is awesome! On the final day, known in Seattle as "Seafair Sunday" we always have a party. 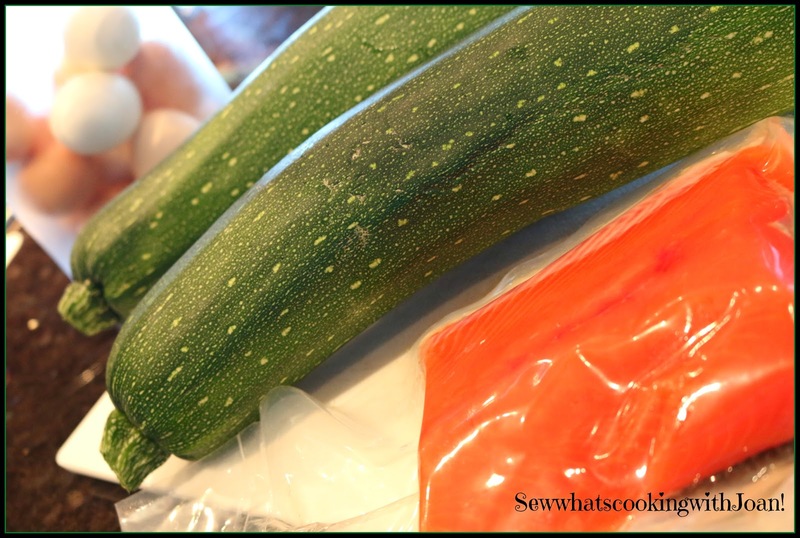 Friends and family come and frequently bring a hostess gift.....one of our friends surprised us with some freshly caught and flash frozen salmon, some zucchini's from their garden and fresh farm eggs from their chickens!! WooHoo!! 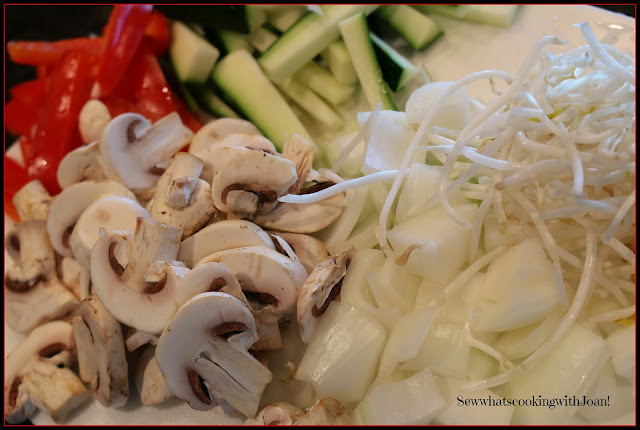 I am having fun creating some new recipes for "Sew whats cooking with Joan" using all three! Stay tuned!